Declining costs and venture capital investment has helped fuel a boom in adoption of building energy management services in the US, according to a new report from Lux Research. Building owners and managers are realizing savings by taking advantage of data analytics and new, more software-centric energy management systems to realize savings and earn returns on their investments. More efficient energy management reduces energy use in buildings, which account for around 40 quadrillion British thermal units (Btus) or 41 percent of total US energy consumption and around 80 percent of national electricity expenditures, according to the US Department of Energy’s Energy Information Administration (EIA). Cutting back on energy demand and increasing energy efficiency go hand in hand with the Obama administration’s efforts to address climate change by establishing rules and regulations to reduce national greenhouse gas (GHG) emissions and foster ¨green¨ economic development and growth. Directed specifically at reducing energy use and costs in buildings, DOE in May announced that partners in the Administration’s Better Buildings Challenge have saved some $840 million in energy costs and avoided 6 million tons of harmful carbon emissions since the program’s launch in 2011. VCs poured $1.4 billion into new ventures active in the building energy management services market space from 2010-2014. Along with expanding the capabilities of building energy management systems, these young companies are using that capital to develop innovative mechanisms to deliver them to end users, such as software-as-a-service business models and pricing, Lux highlights in a press release. 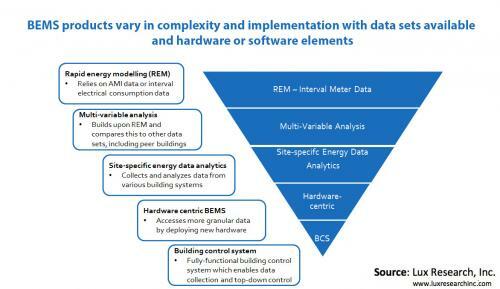 “Customers view energy analysis tools across the BEMS spectrum as intelligence tools, and thus companies need to remove the capex hurdle and price them using an approach like Software-as-a-Service (SaaS), amortizing the hardware to keep costs competitive,” Lux Research Analyst and lead author of “Beyond the Walls: Benchmarking BEMS Software and Hardware” was quoted as saying. The $1.4 billion VCs invested in building energy management services companies from 2000-2014 amounts to about 26 percent of overall investment in building energy technology ventures, according to Lux’s research. One-third went into in software, 27 percent into energy services, one-quarter in companies developing building energy sensors and controls and another 13 percent in semiconductors. Tools extend beyond the building walls. Newly available data streams and acquisition devices mean the definition of BEMS has taken on new capabilities from low- to high-touch, such as performance benchmarking to detailed equipment performance monitoring. 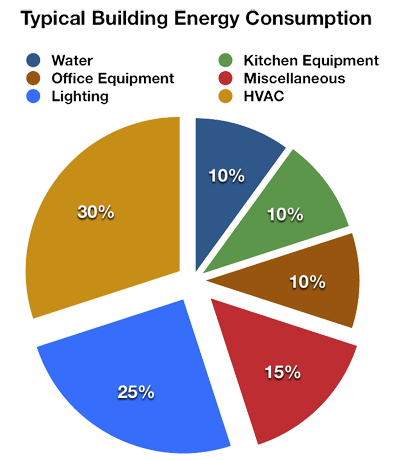 The cost across the spectrum ranges from $0.005-$1.00/ft2 per year, but are often less than $0.01/ft2 for low-touch tools. Hardware attracts growing interest. A flurry of activity has taken place in the hardware-centric segment, particularly by companies such as Circuitmeter that do non-intrusive load monitoring. Companies in this segment need to remain targeted on specific vertical markets in order to identify and exploit value. The savings being realized and GHG emissions avoided by partners in the DOE’s Better Buildings Challenge attest to multiple benefits and value derived by building owners and managers that have invested in innovative energy efficiency, demand reduction and energy management technology and services. Program partners have cut energy waste by 94 teraBTUs since 2011. That translates into about $840 million in energy bill savings, aw well as avoiding more than 6 million tons of carbon emissions – the equivalent of that produced by 1 million cars. In May DOE also announced the Better Buildings Challenge was expanding. Water savings goals are now included. 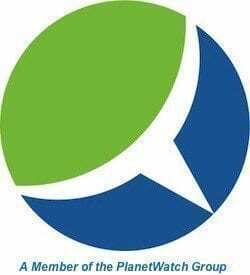 In addition, Senior Advisor to the President Brian Deese called on program partners to recruit at least one new member to the program, the overall goal of which is to reduce energy use in buildings by at least 20 percent in the next ten years. “As the Better Buildings Initiative enters its fourth year, leaders continue to showcase how saving energy saves money, creates jobs, and most importantly accelerates the nation’s competitiveness in the clean energy economy while preserving our environment for generations to come,” commented Energy Secretary Ernest Moniz. More than 250 organizations are Better Buildings Challenge partners. Collectively, their buildings portfolios span 3.5 billion square feet. That includes 650 manufacturing plants in 50 cities and states, as well as $5.5 billion in investments. A group of Better Buildings Challenge partners have already achieved the program’s energy savings and efficiency targets. These include: 3M; the City of Beaverton, Oregon; Camas School District; HARBEC; Lend Lease; the state of Maryland; Sprint; Volvo; and the City of West Palm Beach, Florida. Among financial supporters, Enterprise and Hannon Armstrong have likewise already met their program goals, DOE highlighted.